Why Is God Laughing? tells the story of successful comedian Mickey Fellows and his friend Francisco as they explore how to overcome fear, egotism and addiction (which are the three major obstacles to joy) and become more optimistic. The final chapter highlights how to conquer these obstacles in our own lives and open the door to real joy and happiness. It spells out the lessons that Mickey's story tells us: ten reasons to be optimistic, even in a challenging world. 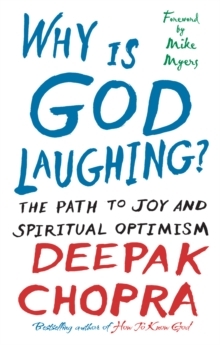 Rich with humour and practical advice, Why Is God Laughing? shows us there is always a reason to be grateful, that every possibility holds the promise of abundance, and that obstacles are simply opportunities in disguise.